Every once in a while when starting a project, I get completely stumped on colors. And other times I have a hundred projects going on and am inspired by new colors. This is one of the latter times – I’m always inspired in the fall. I love October, and we’re big on celebrating Halloween here. This year, we all went to the pumpkin patch a little earlier as usual and my boys went to town designing their Jack o’ Lanterns (they design and we do the cutting). As the finished Jack o’ Lanterns glowed in the basement with my boys simultaneously glowing with pride, I thought of how beautifully these Halloween colors went together. Random color schemes jumping into my head is nothing new. I have a notebook full of color ideas which are there with the intention of me putting together to see if they really work out as well as I envision them to. However, I usually have so many other projects going on that I rarely get around to trying any of them out. 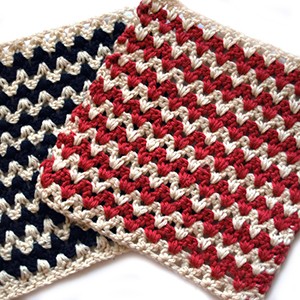 Or, I try one out, love it, and then start a whole new afghan with them – another project on the table! So this time I thought to myself that I’d just make up a handful of squares and see how they go together with no commitment. No pressure to make our family a Halloween colors afghan like the Thanksgiving one (though that is an neat idea now that I think about it…)j This time, it was all about fun. And it was fun putting these together. in fact, I whipped up all these granny squares and the pumpkin square in one day. Crocheting while inspired makes a world of difference in how long it takes to make, it seems. What I came up with was really fun. I used the Vanna’s Colors line to put together these Halloween colors. It’s one of my favorite yarns to use, especially for experimenting. Don’t get me wrong, I love the gorgeous woolen yarns out there, and I do have nice yarns in my stash. But they’re more like precious fibers to me, ones that are saved for special projects. It’s not really in my budget to use fancy yarns that often, especially with how much I crochet. Acrylics also won me over once I had babies. There’s nothing easier than throwing an afghan in the washer when it’s been slobbered over, markered on, or otherwise mussed up by little children. Plus, I just love the colors in the Vanna line. So when I want to try something out, that’s often where I turn. I gathered the colors easily enough, but I wanted to find a lovely centerpiece square that the grannies I started could surround. So I started to look around in all my resources for different squares. I finally found one of an Irish rose that I settled on and was all set to do, when at the top of the page I saw a link to this pattern. A pumpkin. Perfect! It wasn’t until I opened the pattern that I realized that the pumpkin was actually made up of bullion rolls. I haven’t made bullion rolls since my Kale Square a couple of years ago. But I had just bought my kids a box of straws, and the square looked so lovely, I decided I’d give it a go. It was definitely not an easy pattern for me! I don’t know if it was just my lack of paying better attention or if the directions didn’t work themselves out in my head for some reason. I got the pumpkin made easily enough, but the black ivy background I had to remake three or four times until it clicked in my head and I got it all made. From there on, it was just adding a few borders around, showing off how the colors worked together. Such fun, once that tricky round was done. And as you can see, it turned out wonderfully! I felt a little odd pickup up all the squares when I was finished and just sort of placing them in my craft room with no real plan or end destination for them. Maybe one day I’ll make it into a pillow or maybe even a trick-or-treat bag, but in the meantime, I reminded myself that I was crocheting without commitment. And so it’s lying back there quietly and patiently. And who knows, maybe some day it will be something more. 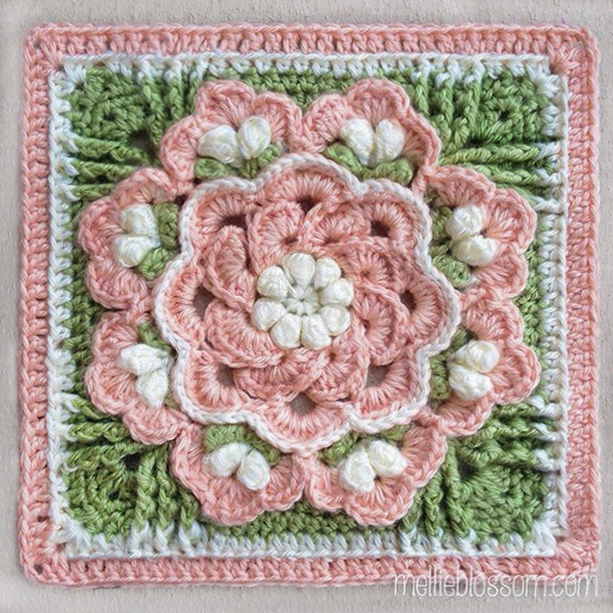 Pretty Pumpkin Crochet Square can be found free here. My Ravelry page for this project can be found here. As always, these color cards are for sharing. Feel free to use them for whatever projects you like or take whatever inspiration you can from them, or ignore them just the same. I could sit and mix and match colors all day long (why isn’t there a job for this? I would rock at a job like this!) and it would take me decades to put them all together in different projects. You’ll likely see a lot more color cards like this as I practice my non-commitment crocheting!